Dave Morrow, a graduate of Brother Rice High School in Bloomfield Township, takes the lacrosse world by storm. 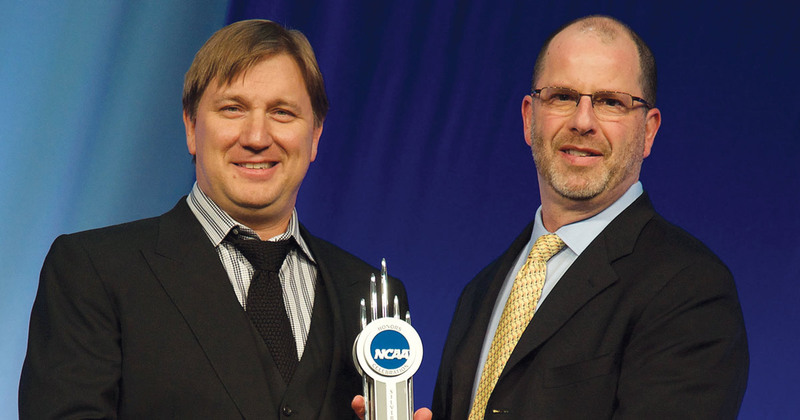 Dave Morrow, left, receives the NCAA Silver Anniversary Award at the NCAA Honor Celebration on Jan. 17 in Indianapolis. Dave Morrow, founder and CEO of Warren-based Warrior Sports, grew up in Troy, where he remembers his early years as being typical of any suburban kid coming of age in the 1970s. Before long, Morrow was handling the biggest jobs in the shop, including the continuing casting machine, where molten metal is molded, cooled, and stretched into a finished product. It was a vastly different world from his buddies. “It was funny,” Morrow says. “When I got older and could drive, my dad said, ‘Why don’t you invite a friend to come work with you?’ I said, ‘That’s great.’ But they’d last about four hours. I never had anyone make it through a full day. They’d go out to lunch and never come back. Morrow applied his focus and attitude to his career as an athlete at Brother Rice High School in Bloomfield Township, where he was a standout player in both lacrosse and hockey. When he arrived at Princeton University in the fall of 1989, he had to choose between the two sports. Morrow opted for lacrosse, but after playing sparingly as a freshman, he was ready to quit and resume his hockey career. 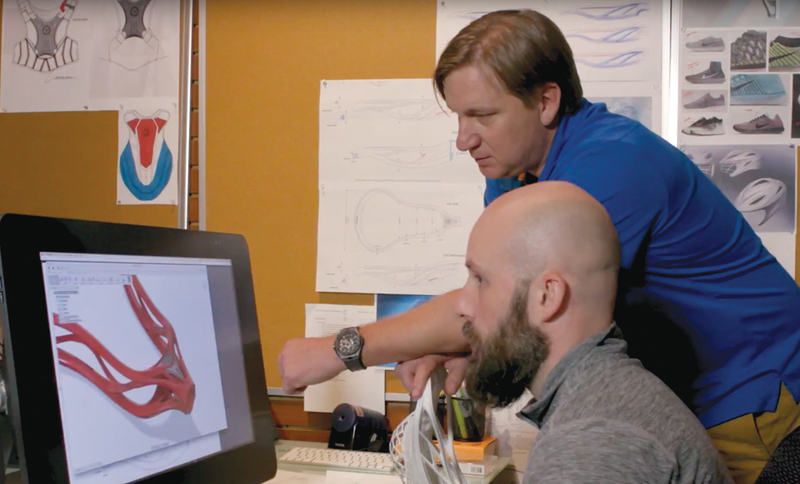 Dave Morrow, founder and CEO of Warrior Sports in Warren, took what he learned from working at his father’s machine shop and applied it to the development of stronger, more durable lacrosse and hockey equipment. Encouraged by Tierney’s assessment, Morrow went on to become one of the greatest defensive lacrosse players in the history of the sport. 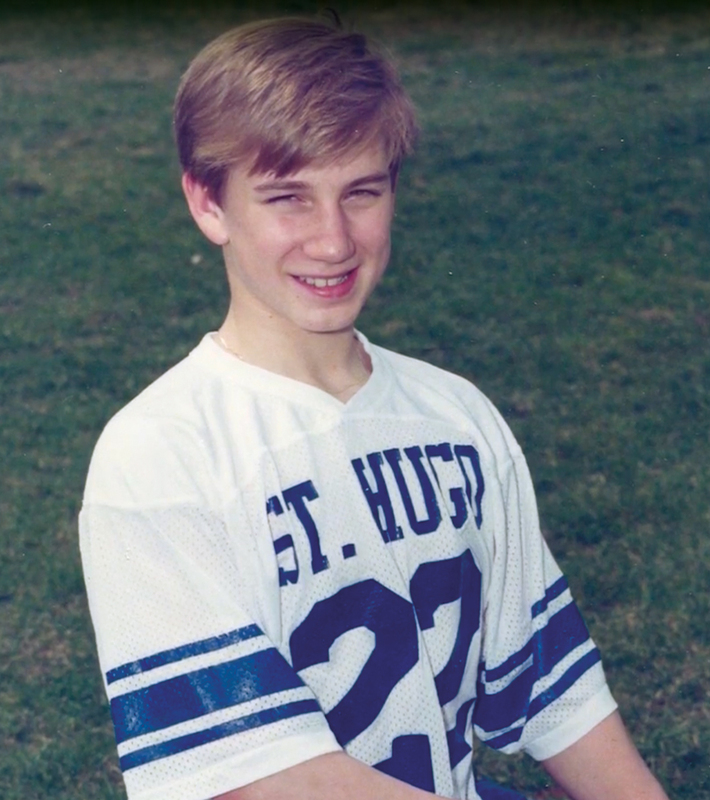 As a senior, he was recognized as the national player of the year — the last defenseman to win the equivalent of the Heisman Trophy of lacrosse. He recently was recognized with the sport’s ultimate honor, joining the 2018 class of the U.S. Lacrosse Hall of Fame, the first-ever inductee who played high school lacrosse in Michigan (the event takes place in late September). Through all those heady days as an elite performer in the highest echelon of his sport, Morrow returned home every summer and toiled in his father’s machine shop. And one day, they got an unusual job request. At the same time, Morrow, who’d just completed his second lacrosse season at Princeton, was grappling with a problem shared by everyone who played the game: The shafts of the sticks, or handles, were made from low-grade aluminum, bent easily, and often broke in half. It wasn’t at all uncommon for players to break two or three dozen handles each season. So Morrow and his father started experimenting with titanium. The following spring, Morrow showed up at practice with an assortment of sample handles for his college teammates, produced under the imprimatur of his newly formed company, Warrior Sports (Brother Rice Warriors). 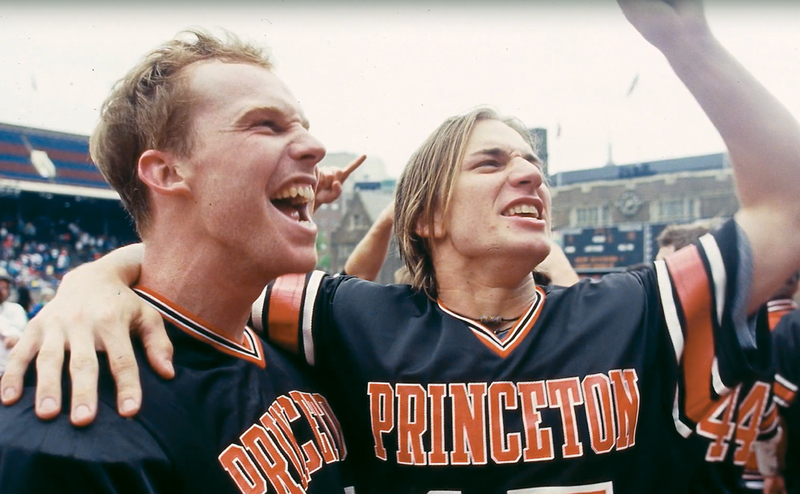 Less than a month later, something completely unforeseen and extraordinary happened: Princeton won its first-ever national championship. Morrow returned to Michigan for yet another stint in his dad’s machine shop the summer preceding his final year at Princeton. As he focused on earning his degree and leading the Tigers back to another Ivy League championship as a senior, Morrow also became immersed in all aspects of titanium tubing while running his fledgling business out of his dorm room. Morrow, who played defense for the Princeton University Tigers lacrosse team (No. 17), took the knowledge of building prototupe equipment and launched Warrior Sports. He also co-founded Major League Lacrosse, now entering its 18th season. Soon after graduation, Morrow was at the forefront of the next step for Warrior Sports, expanding from a company that not only manufactured lacrosse handles, but other sports equipment, as well. In the last 25 years, Warrior Sports has come a long way from that cramped Princeton dorm room. Morrow now has more than 80 U.S. and international patents for his innovations and ideas, and the company is renowned throughout the sporting goods industry for its innovative and high-performance equipment, footwear, and apparel for lacrosse and hockey. As Morrow made forays into workshops, he continued his lacrosse career, winning gold medals in the 1994 and 1998 World Championships with the U.S. National team. 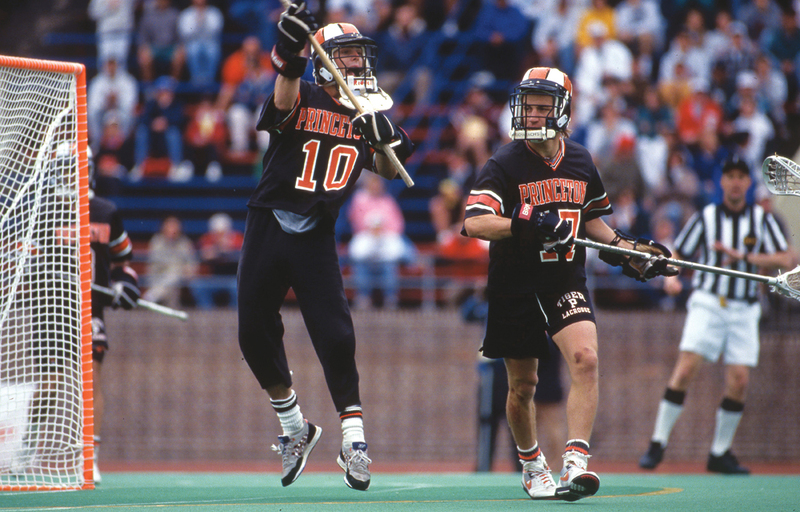 In 1999, he co-founded Major League Lacrosse, the professional outdoor league which just wrapped up its 18th season. While his parents and sister still live in Michigan, the 47-year-old Morrow settled in Denver with his young family. Morrow is also committed to giving back. Warrior Sports supports more than 70 local and national hockey and lacrosse organizations with financial or equipment donations.